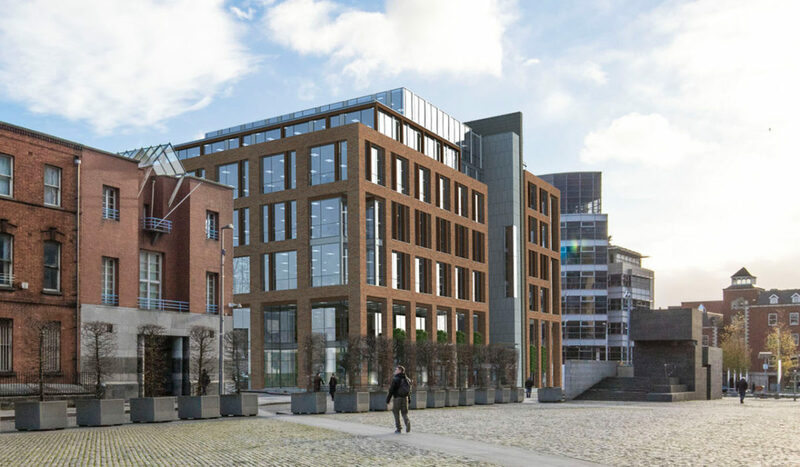 BKD Architects are delighted to announce that we have just secured planning permission for a major new office development in Smithfield on the site of former Distillers Building for our clients Linders of Smithfield. 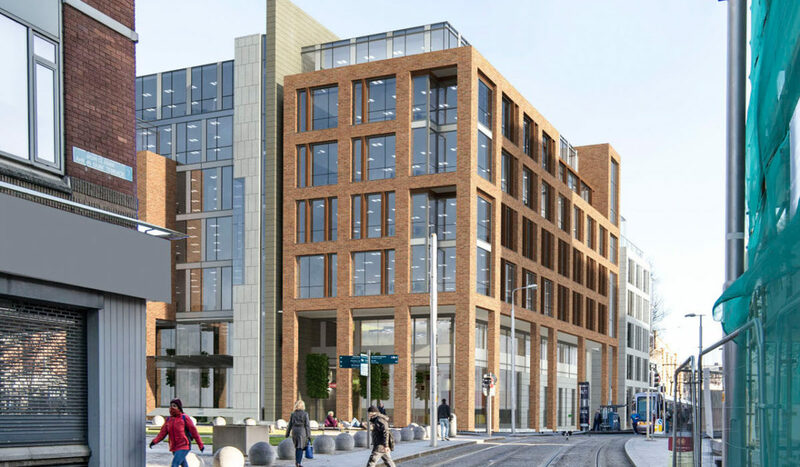 The development of this entire city block consists of the demolition of the existing Irish Distillers building and the incorporation of part of its existing stone walls with in the new commercial building. The building ranges in height between four and seven storeys above a double basement level which contains 47 carparking space 188 bicycle spaces and extensive shower and changing facilities. The Ground Level incorporates retail, restaurant and bar floor space. Three accessible roof terraces are proposed at fifth floor level and a further three at sixth floor level. 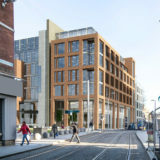 The development also incorporates a new Luas platform. The development will have a total Gross Floor Area of 20,500 sqm. The design proposes a building of the highest architectural quality, using durable high-quality materials, selected for their appropriateness to the existing urban context and to maintain their long-term condition. Through its massing, form, materials and detail treatment, the building will make a positive and appropriate contribution to its very particular urban setting. 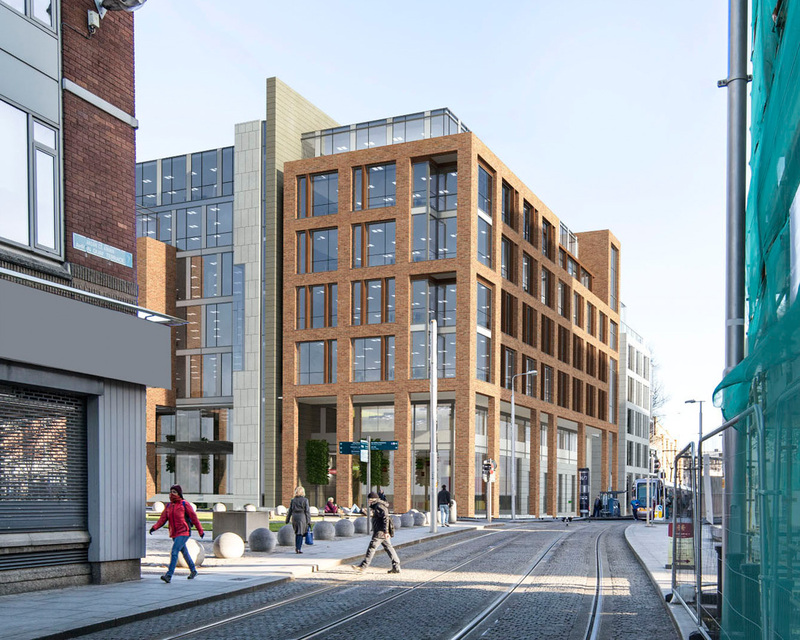 The building height and form is based on a clear strong urban design rationale related to its particular location on the streetscape and its relationship to the urban space of Smithfield. 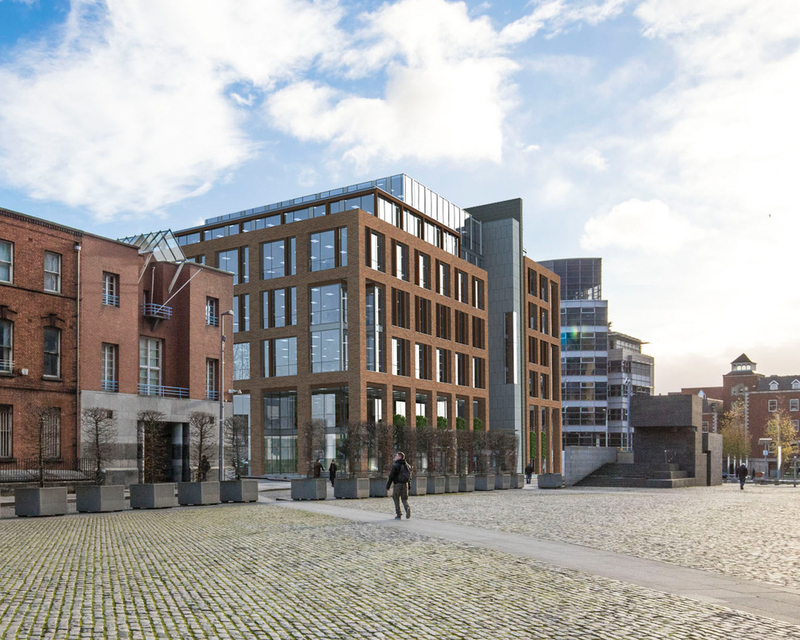 The proposed design, through its use mix and generous addition to the public realm of the area and through its considered relationship to the adjoining city fabric,will provide a development which will enhance the dynamic and historic character of the Smithfield area.